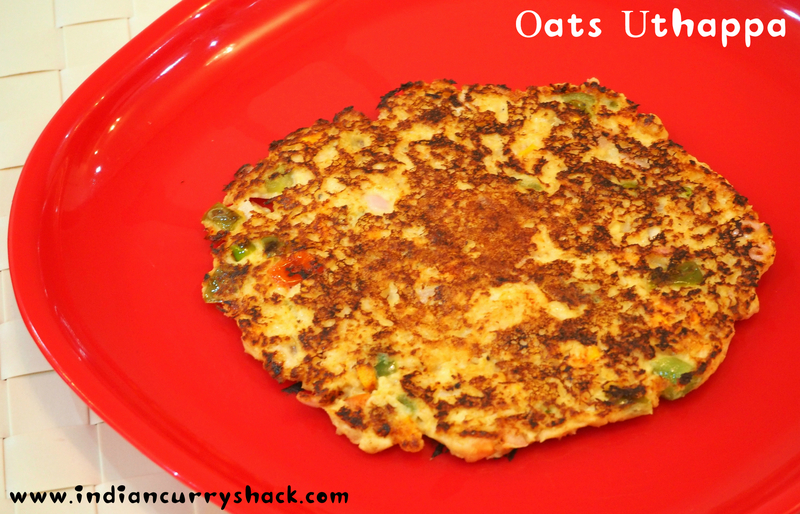 The very healthy and tasty Oats Uthappa or Uttapam (Indian Pancake) is here this weekend. Oats have the highest amount of soluble fibre amongst all grains and support healthy digestion. This nutrient-dense food can be had in so many different ways. Beyond the breakfast bowl, these can be added to cookies, breads, pancakes and more. It is great as a snack or main-course. 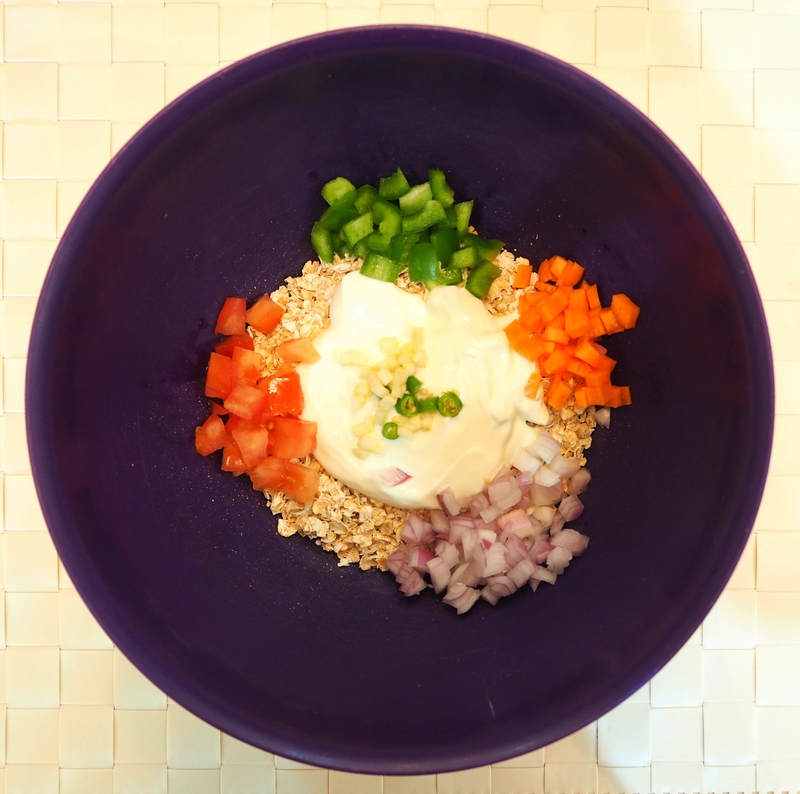 In a large bowl, take oats, natural yogurt/curd, all the veggies and spices and mix well. The Oats Uthappa (Pancake) batter is now ready. Keep it in the refrigerator for 1-2 hours before cooking. Take the batter out from the refrigerator 20-30 minutes before cooking. If the batter is too thick, add 2-3 tablespoons of water and mix well. Keep aside. Heat a nonstick pan or griddle (tava). Sprinkle some olive oil on it. 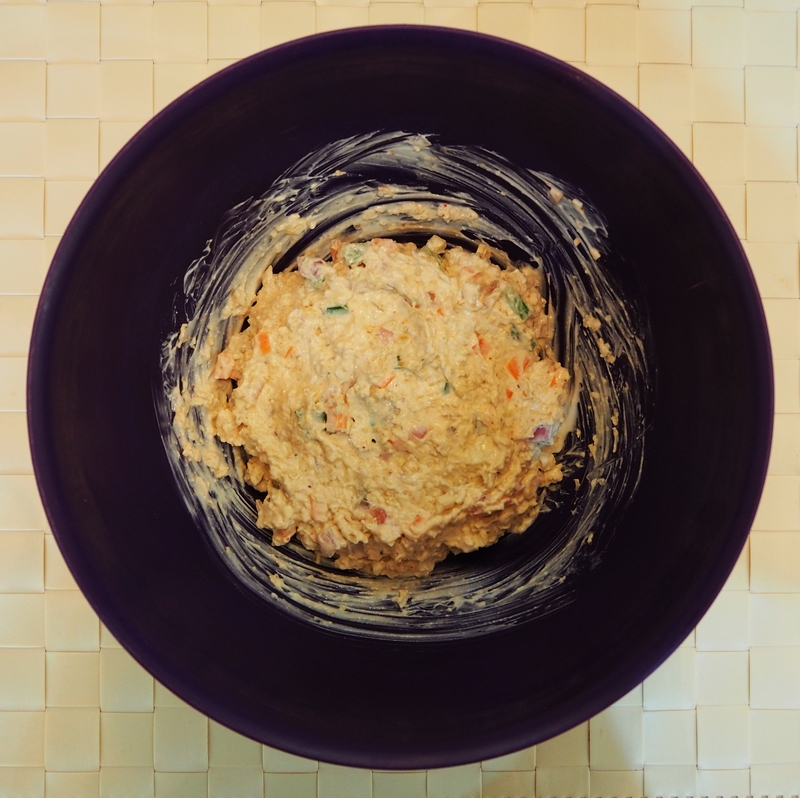 Put two big spoons full of batter in the center and start spreading in a circular motion outwards. Cook on medium flame till the bottom surface turns golden brown. Then flip upside down (be extra careful while flipping as the batter is still soft at this stage) and sprinkle some oil around their edges and cook until the second side also turns golden brown. You can turn a few more times to make it crispy and give a nice golden brown colour. Tranfer the prepared Oats Uthappa or Uttapam (Pancake) on a plate and serve hot and crispy with Tomato Sauce, Chilli Sauce or Mint & Coriander Chutney.